Connecticut on Monday officially became the 48th state where the Libertarian Party has qualified to place a presidential candidate on the ballot. The secretary of the state’s office announced it had accepted 8,923 signatures to clear the 7,500-signature threshold necessary for the party to qualify for the ballot. 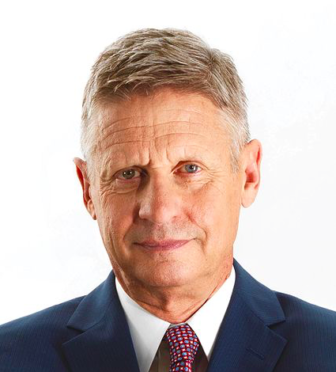 The Libertarian nominee is Gary Johnson, the former Republican governor of New Mexico, but the signatures were gathered using the name of a placeholder, Carla Howell of Massachusetts, the party’s political director. By using a placeholder, the party was able to start collecting signatures before Johnson became its nominee in May. State law allows the party to swap Johnson for Howell on the ballot. Rhode Island and Kentucky are the two states yet to certify Libertarians for the ballot. The party says it expects to be on the ballot in all 50 states. Jill Stein, the Green Party nominee, qualified for the Connecticut ballot last week. The Green Party says Stein has qualified in 40 states and has hopes for seven others through a mix of petitions and litigation. Johnson and Stein are not expected to join Democrat Hillary Clinton and Republican Donald J. Trump in the presidential debates. To be invited, they must be supported by 15 percent of voters in five national polls: ABC-Washington Post, CBS-New York Times, CNN-Opinion Research Corporation, Fox News, and NBC-Wall Street Journal. An online survey released Thursday from Morning Consult found 52 percent of voters support including Johnson in the debates; 47 percent support an invitation to Stein.